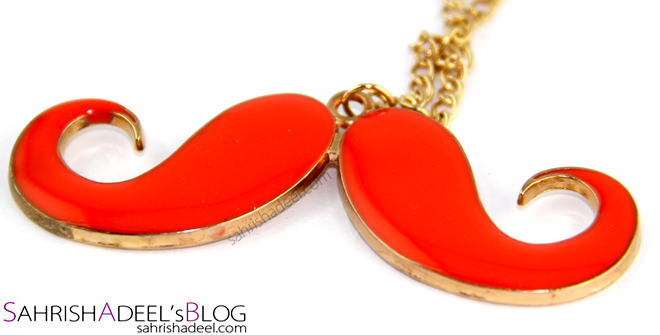 Jewelry from C & H Jewelry - Review | Sahrish Adeel - Malaysia based Pakistani Beauty & Lifestyle Blogger! I present you Gold and Geautifuls! Oh you don't know who they are? Let me introduce you to each of them today. C & H Jewelry is a Pakistan based Facebook store. Their aim is to provide their customers with best quality products at cheap prices. They take orders for jewelry items and arrange them on demand from around the world. I always say that if the person who is dealing with you, representing a certain company, is not nice to talk to, the company looses the customers eventually. No matter how good the products and services are, you got to be professional and humble. This store has the owner that I really liked talking to. I hand picked some of the products I will review later in this post and the owner of the store helped me really calmly. The packaging was really secure and the parcel reached me in reasonable time. Also the prices and quality of their products is really good. I would recommend this store if you would like to get your hands on some pretty things while staying in a budget. Let's move to the review now. Every time I go to the mall, my mind reminds me to hoard as much jewelry as I can and my husband on the other hand tries to keep me away for all jewelry and cosmetics stores. I hardly wear any jewelry (except for a statement ring with every outfit) but I love to collect and wear cute jewelry item. Mostly because they look lovely and do not expire. Enough of blabbing and let's get to the point. 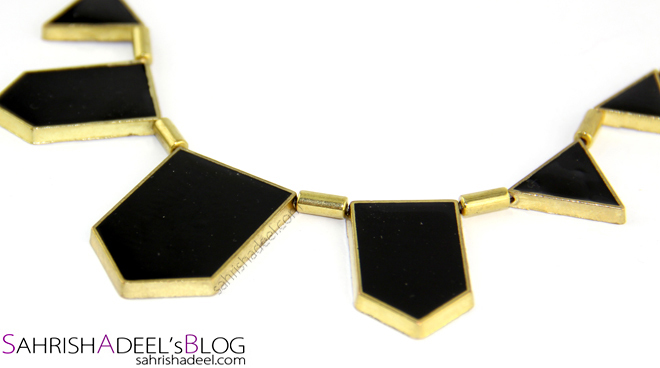 I utterly loved every piece in this jewelry collection. The most I have been wearing is the ring though I feel it is a bit over priced. But that black necklace could not be any inexpensive. All the items are made up of very good quality for the price and the earrings and ring are pretty comfortable to wear as well. I really liked the bracelets as they are adjustable and they can fit on small to large wrist sizes which is pretty good. Ring is also adjustable and does not sting on the back of the finger. I have kept this jewelry from water and I don't use perfume at all so for now, nothing changed the color. 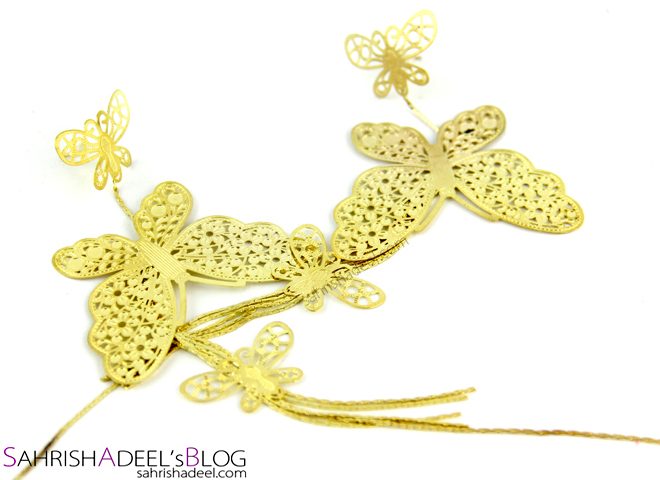 Oh and I also liked how delicate and light weight those long butterfly earrings are. They look heavy but are really light and comfortable for the ears. I am wearing these items one at a time for past few weeks now. If you are not sure that you can carry golden jewelry, wear one piece at a time. Until or unless you have some silver in your dress, golden pieces can go with any outfit. I am more of a silver jewelry person but I have been trying to change it a bit for a few months now. Overall, I loved all the pieces and really could not find anything bad about these. I have mentioned the cost for each piece under the picture. You can order them online from C & H Jewelry on Facebook. They also have lots of other pretty jewelry items and you might like some of them. 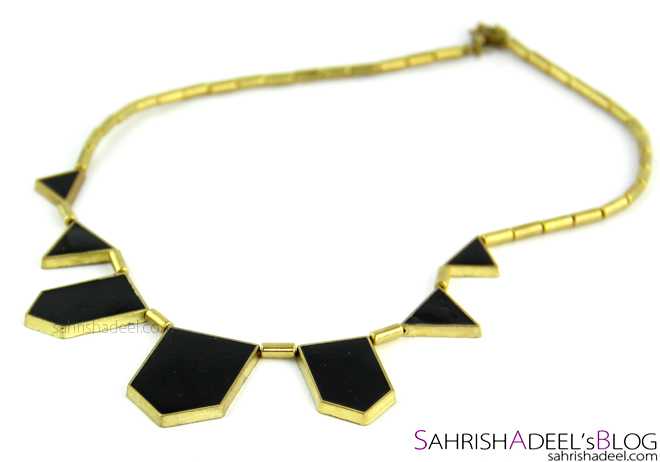 Do you like to wear golden jewelry? Which one did you like the most in this post? 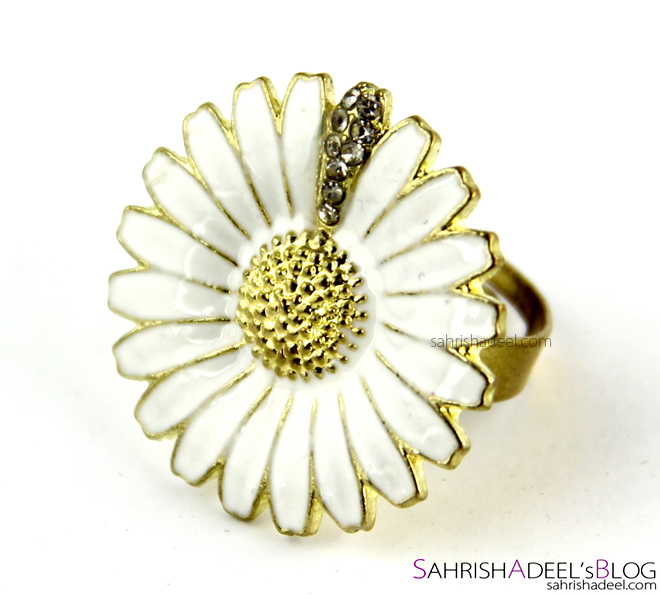 Click to check out more jewelry item reviews.